Are roof windows an acceptable fire escape route from a loft? No. If your loft can be considered as a ‘habitable space’ then building regulations for fire safety must be complied with. This applies to windows in a storey height not more than 4.5m above ground – most likely the first floor – and windows above this height are considered not even suitable for escape in an emergency. For rooms in a storey height above 4.5m, a protected enclosure should provide direct access to an exit door and suitable escape route (a permanent ladder is not suitable – stairs must be available). LoftZone StoreFloor is suitable for almost all lofts, including cut, purlin and truss-roofed types. It’s frequently fitted in both houses and commercial buildings. Your joists will be need to be made of wood and be at least 32mm (1.25″) wide and 75mm (3″) tall. Can I board the loft in a brand new house? Yes you can, but you need to use StoreFloor. Most new houses have truss roofs and the British Standard says that the joists must be able to carry a permanent load of at least 25kg per square metre (e.g. for storage) plus a temporary load of 180kg (assumed to be one person walking around). 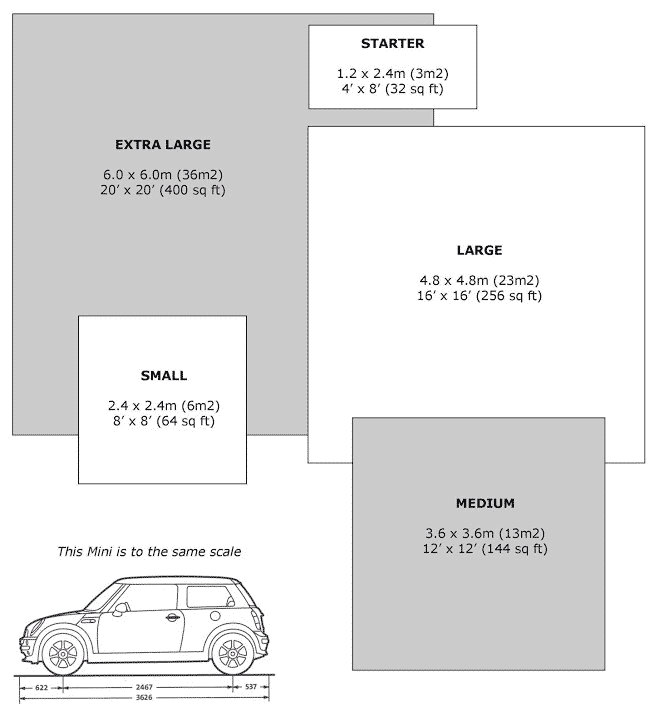 Every new house has to be built at least to this minimum legal standard, though many can in fact accommodate much more storage. Despite the joists being strong enough, many new house builders recommend that you don’t board a loft. 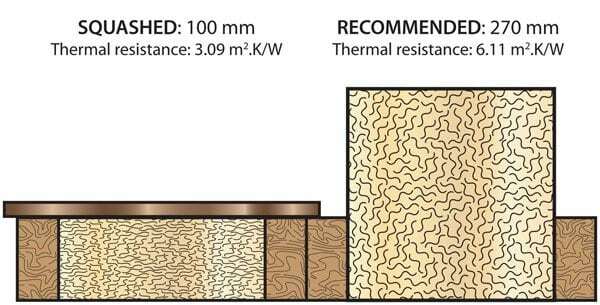 This is because the traditional method to raise the deck (using extra wooden joists) is very heavy and, since 2013, contravenes Building Regulations in the UK as the wood allows heat to escape through the insulation. But StoreFloor is OK as it is very light and does not suffer the heat loss problem like wood does. Brand new houses are actually one of the biggest markets for StoreFloor, with thousands of happy customers. I have an old house with uneven joists, how do I fit StoreFloor here? The first point to note is that StoreFloor bridges over, and completely misses out, most joists, since the Cross-Beams span 1200mm. Therefore, with a bit of planning, you can often choose to place the supports in such a way as to completely miss out the joists that cause the problem. Occasionally however you will find that, even with the best planning, some of the joists you fix the supports to could be higher than others, or too uneven to screw into. The way our installers get around this is either by fitting a wooden shim underneath some supports, to make everything level, or to screw a small new piece of wood to the side of the original joist, and to fit the support on to that. Does the spacing between my joists matter? The vast majority of joists in the UK are either 400mm or 600mm apart (measured from the centre of one joist to the centre of the next one). That is why LoftZone Cross-Beams are designed to span 1200mm, so they fit perfectly. Importantly, there is also up to 75mm tolerance in case your joists weren’t built exactly to these dimensions (many weren’t!). And because the Cross-Beams bridge over intermediate joists, if you find there are any that are uneven or warped, you can just miss these out. So for most UK properties, everything will work fine. Some houses however have other, or variable, joist spacing. In that case, you’ll need to cut the Cross-Beams to the right size, so that they span between joists without overhanging or falling short. Cutting the Cross-Beams is easy; just use a saw or tin-snips. The beams are strong thanks to their design but only 0.7mm thick. If you need help working out exactly how many parts you need, get in touch with us. Will my loft floor be strong enough for flooring? Although many house builders have historically discouraged buyers from using their loft for storage, the British Standard for roof trusses (BS5268) permits up to 25kg/m2 of storage plus the weight of one person (assumed to weigh up to 180kg) accessing the belongings. 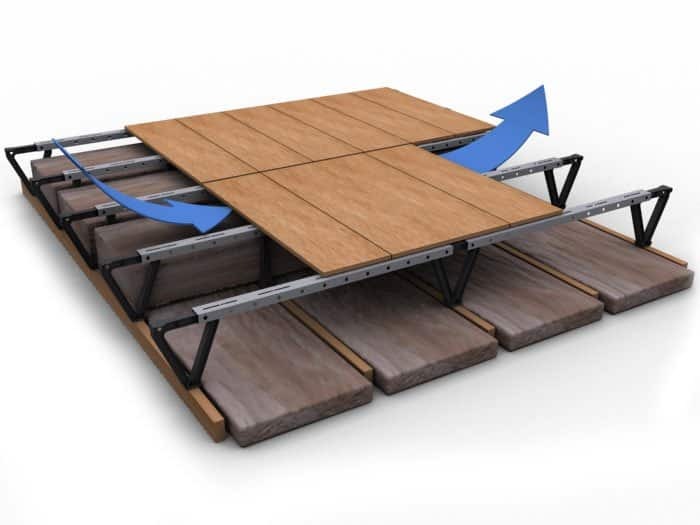 LoftZone StoreFloor uniquely allows new home builders to safely allow house buyers to use their loft space for storage, in a way that has passed all required tests, and even for modern truss roof properties. In fact, the lattice-beam structure of the product strengthens the joists. What loading can I put on LoftZone StoreFloor? Probably a lot more than your ceiling can take. See FAQ: Will my loft floor be strong enough for flooring? StoreFloor is extremely strong and LoftZone is the only raised loft floor manufacturer to have put its products through robust accelerated lifetime tests in extremes of temperature beyond those normally found in the UK. Even in these conditions, a StoreFloor deck survived loads of over 500kg per square metre, without failure. In addition to being strong itself, StoreFloor’s lattice-beam structure also strengthens the joists it is screwed into. Nonetheless, StoreFloor is only intended for storage and occasional access, and we recommend that you don’t overload your joists. If in doubt, consult a structural engineer. Can flooring the loft restrict airflow and cause dampness? Yes, if done the traditional way of fitting floor boards directly on to the joists, or onto timber batons placed on top of the joists, this prevents air from flowing across the roof space. The warm, humid air rising from the house may condense on the cool underside of the decking and cause dampness and rot. A LoftZone deck will be raised 279mm above the top of your joists. This is to allow for a full depth of loft insulation (up to 350mm, measured from the floor of the loft) plus an air gap above the insulation and below the boards. How much of my loft should I deck? Most people would like to board their whole loft, but you don’t have to. StoreFloor is modular so you can start small and build more later when your storage requirements go up. Most people choose a square or rectangular deck, or an L or T shape near the hatch. Some people have more than one deck, on either side of the hatch. Don’t board right up to the eaves though, as you’ll want to keep a gap for ventilation. How high will the deck be? The deck will be raised 279mm above the top of your joists. This is to allow for a full depth of loft insulation (up to 350mm, measured from the floor of the loft) plus an air gap above the insulation and below the boards. This essential air gap is there to allow air to flow over the insulation, thereby taking away any humidity which might otherwise condense on the underside of the boards and cause damp. LoftZone took advice from the Buildings Research Establishment for the size of the air gap during the design phase – hence the 279mm. How many Uni-Supports will I need? We install one Uni-Support for every second Cross-Beam. For storage of up to 25kg per square metre and infrequent access by one person, this is sufficient. It’s usual to place the Uni-Supports evenly underneath the deck, or you can concentrate them in the area which is likely to get the most loading. If you wish to have a higher load on the deck, or walk upon it frequently, then we advise one Uni-Support fixed under every Cross-Beam, to provide additional stiffness and to spread the load. You can discuss any unusual loading situations with us during your survey or order online from us if fitting yourself.